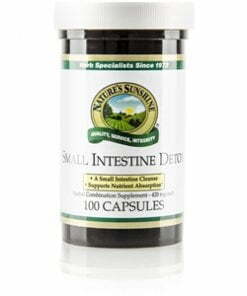 Nature’s Sunshine Small Intestine Detox encourages the digestive system’s cleansing processes. The formula contains marshmallow, an herb high in mucilage, to help sooth digestive tissues. 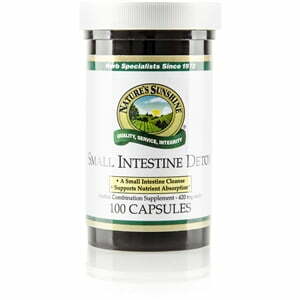 Small Intestine Detox also contains pepsin to assist in the digestion of protein. Instructions: Take two capsules with a meal three times daily. For best results use with Bowel Detox.